Amsterdam is a wonderful city but without a trip to the North your visit to the Dutch capital can’t be considered complete. All it takes to make your travels to Amsterdam that bit more special is to step on board of one of the free ferries that cross the River IJ. Once on the other side of the water you’ll discover a whole new world, starting with the totally revitalised riverfront and stretching to the endless horizon of the Waterland polders. Here on the north side cycling on centuries-old historic dykes, dining in elegant restaurants, hanging out in trendy cafés, soaking up the sun on city beaches and submerging yourself in the rhythm of a multitude of cultural festivals are all part of everyday life. Once a derelict, industrial area, it has been transformed into an edgy, vibrant neighbourhood. North Amsterdam used to be the neglected child of the capital, but that has changed in recent years. Once a derelict, industrial area, it has been transformed into an edgy, vibrant neighbourhood. New restaurants with sun-catching terraces have opened up, the NDSM Wharf has burgeoned into a cultural hotspot with major music events, while the EYE Film Institute attracts over 700,000 visitors each year. And then there’s A’DAM Toren, the tower just across from Central Station which will open this spring. With its panoramic observation deck and revolving rooftop restaurant, the North has yet another feather in its cap. 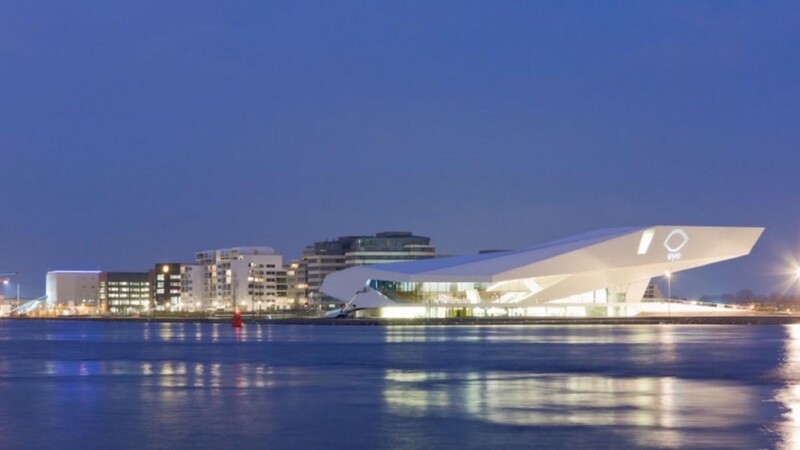 Right across the water of the River IJ – behind Amsterdam Central Station – you can see the iconic, futuristic building of the EYE Film Institute that opened in 2012. 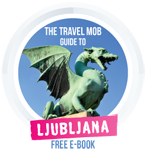 Apart from a diverse film programme and international exhibitions, it offers a lot of free entertainment: in the 360-degree Panorama room in the basement you can project your favourite movie scene on the wall. In one of the viewing pods – egg-shaped, mini-cinema booths – you can watch film classics. And halfway up the staircase of the Arena on the main floor, you can dive further into the world of film on one of the listening benches. For example you can listen to director of photography of Jaws explaining how to create the feeling that a shark is in the water, without it actually being present. (And with the view over the River IJ, it’s easy to let your imagination run wild!). Next to EYE, there’s the impressive A’DAM Toren, rising almost 100 metres high. This 22-storey tower block – once a Shell office building – is a 24/7 modern mix of music, dancing and dining. From the subterranean nightclub Shelter up to the revolving rooftop restaurant Moon, A’DAM Toren is a must-see for the urbane traveller. The views from the LOOKOUT observation deck are worth the journey alone. The best way to discover the rest of North Amsterdam is by bike. You can rent one at TIP Noord, underneath the THT restaurant, just across the water. Owner Jan or one of his employees will help you with directions. Once you’ve saddled up, you should definitely check out the 17th-century dyke houses and the unique villages and polders of Waterland – the most popular area for woodland birds in Europe. 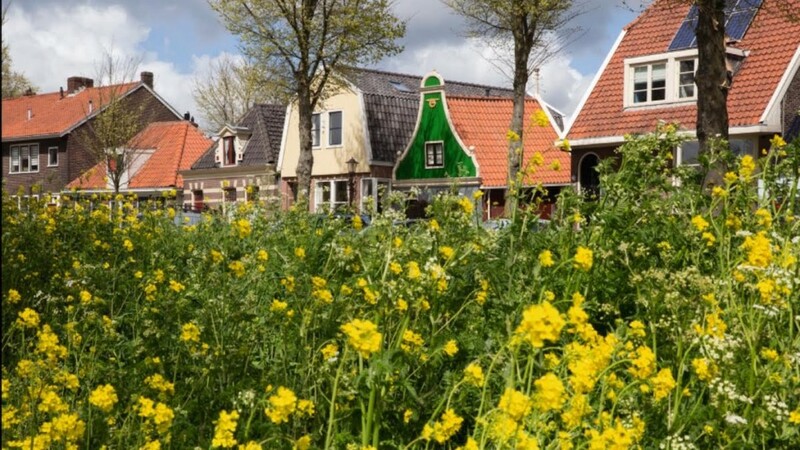 If you’re not in a hurry, rent an electric ‘whisper boat’ in the tiny picture-perfect village of Holysloot. For romantic fools like myself, it’s a great way to spend a sunny afternoon. On a summer’s day, restaurant Pllek at NDSM Wharf is another perfect place to hangout, not only because it has a huge terrace, but also because it has its own beach. You’ll find other nice terraces on the waterfront for instance at Café De Pont, THT and Noorderlicht. My favourite pub Café ’t Sluisje has a great terrace – with harbour view – as well. Check out the home-made apple tart and soups! More and more restaurants have opened in North Amsterdam in recent years, and some of them are really exceptional. The finest dining spot with my beloved has to be Hotel de Goudfazant (it is not a hotel), but I’ve also enjoyed great meals at Café Modern and Bistro Noord. For a good steak, I usually book a table at Loetje aan het IJ; for pizzas from an Italian brick oven, I go to Il Pecorino. If you want to savour the real North Amsterdam atmosphere go to Place du Nord or Smaaqt. After dinner you might catch an event at the NDSM Wharf, the Tolhuistuin or Paradiso Noord. 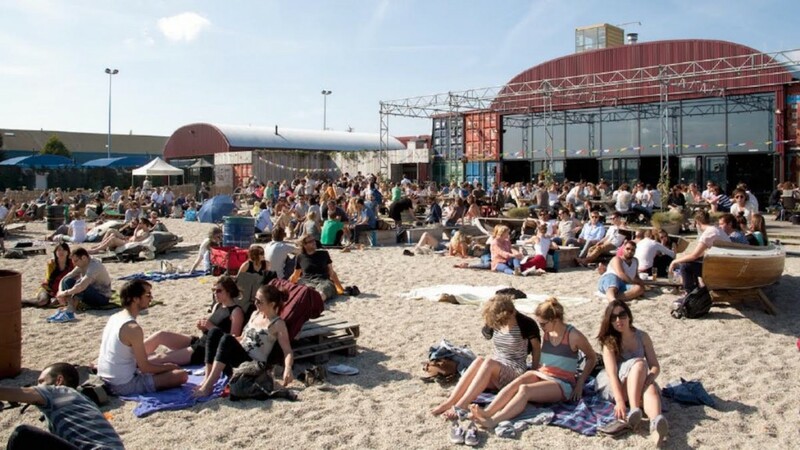 NDSM is well known for its great dance festivals and the largest flea market in Europe, the IJ-Hallen. Every week you can see great bands from all over Europe perform in Paradiso Noord. And the Tolhuistuin is the place to be for intimate festivals. If you haven’t found a hotel, B&B or Airbnb in North Amsterdam, you can always go back to the city centre by ferry afterwards. 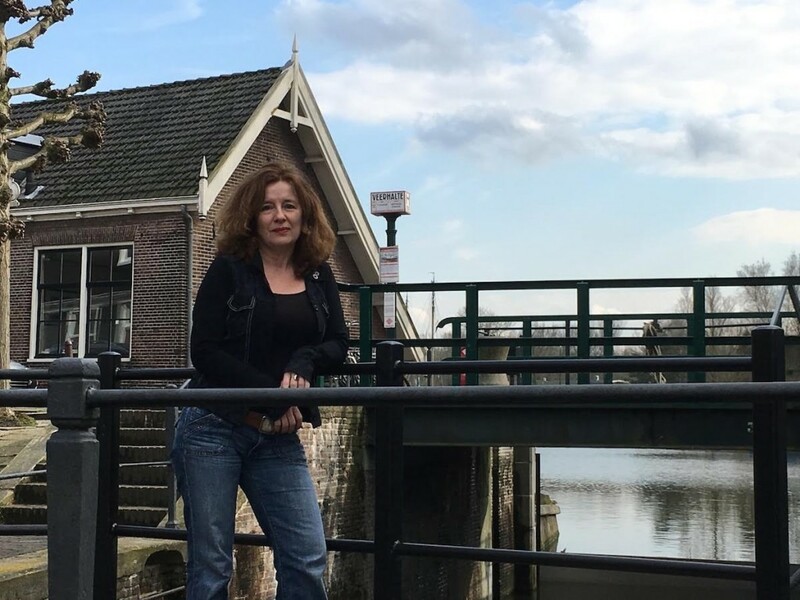 Born and raised on Dublin’s north side, Jacqueline Nolan moved to North Amsterdam 23 years ago. She was a newsreader and broadcast journalist at the Dutch world service radio before it closed in 2013, and is now a freelance writer and business actor. “What I really love about this part of the city is its rustic feel. When I head into the city centre – by bike, of course! – I cycle through the woods, and cross the River IJ by ferry. I always stay outside on the ferry deck to look at the city’s skyline, regardless of the weather. It’s like being on holidays in a way, and yet you’re at Central Station within no time. “One of my favourite café-restaurants is Pllek at NDSM Wharf, an old shipyard turned into cultural breeding ground. I like its rugged, unfinished feel. It has a big fireplace in winter and a beach terrace in summer, and it’s located right where the NDSM ferry arrives. There’s a wide view over the river, while you’re sitting snug inside. Gives you a sense of the seasons. For backpackers on a budget, Clink Hostel is the place to be, with dorm beds starting around €15. The hostel is just a five-minute walk from the ferry station. If you’ve got more money to spend and want a private toilet, the Double Tree Hilton offers an impressive view of the River IJ. North Amsterdam can easily be reached by the free ferries that run 24/7 from the piers behind Amsterdam’s Central Station. If you want to read more about North Amsterdam, check out the new travel guide ‘Discover the North: The Sunny Side of Amsterdam’. ‘Discover the North’ was created by three journalists who live and work in North Amsterdam – Menno Bosma, Klarianne Roseboom and Jeroen Kleijne. The book is available for €6.95 in over 20 bookshops in Amsterdam, or online. For more information, visit www.discoverthenorth.amsterdam. For more stories on Amsterdam by Urban Travel Blog, click here. Amsterdam is a great city, I love your prospective! Jeroen Kleijne is a journalist who loves to travel, but who always comes back to his favourite place in the world – North Amsterdam. With his colleagues Klarianne Roseboom and Menno Bosma, he wrote the first English travel guide on this upcoming part of the city.